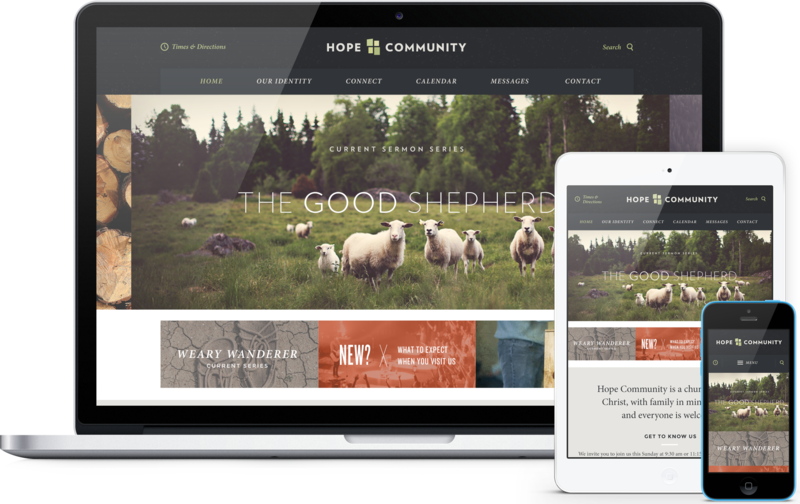 Cornerstone features a classic and clean church website design, with big and bold graphic areas, and fresh typography. 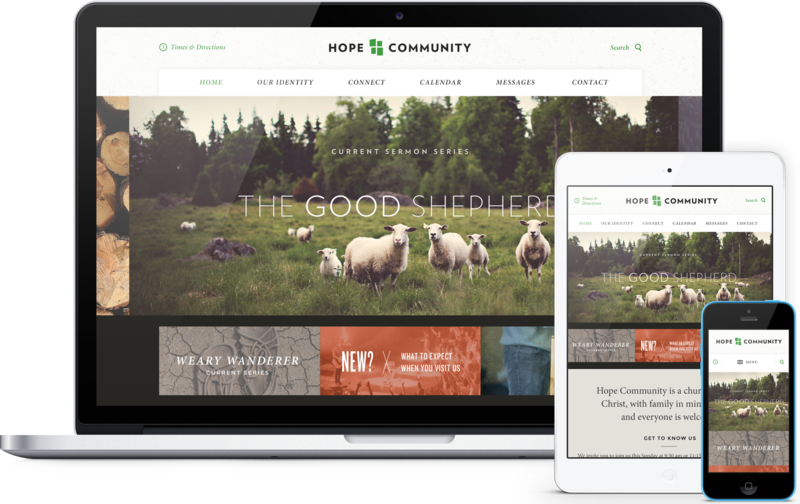 Cornerstone features a large image rotator, three large quick link graphics, service time(s), prominent church information, announcements (blog posts), upcoming events, and a "Get To Know Us" section. The subpage design offers a wide, full-screen content area for lots text or graphics. 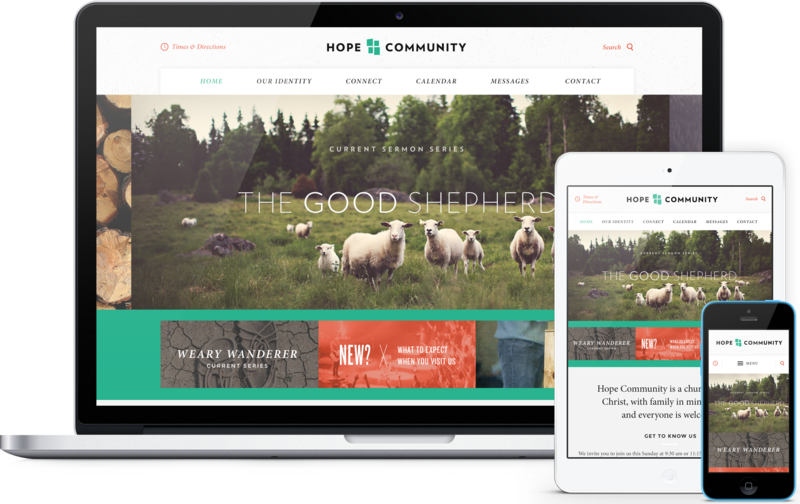 This bold church website design is sure to impress and engage your visitors.